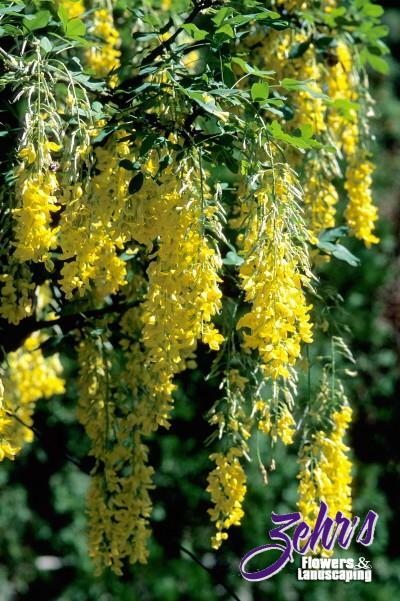 This small tree has attractive compound leaves, and is especially beautiful when draped in long racemes of rich yellow pea-like flowers in mid-May. It prefers moist, but well drained soil and partial shade, and will tolerate alkaline soils. It is particularly effective in groupings. Seeds are poisonous.